Hi, I'm new here and this is my first post. I was wondering about the popularity of mulch lawn mowers. Do you have one and what are your views on their effectiveness? 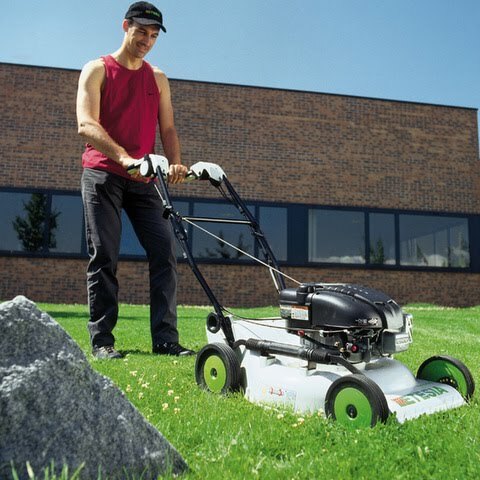 In my experience professional quality mowers designed well and solely for mulching can provide an excellent quality of finish if the mowing conditions are suitable i.e grass is not too long or too wet. Results are better if the grass is left a little longer so there is somewhere to "hide" the clippings and the mower has speed control independent of engine revs. Engine speed (and therefore blade tip speed) has to be high for good mulching results but you need to be able to slow the forward speed of the mower down when conditions are less than optimal. There are no dedicated mulch mowers with rear rollers (unless you make your own add on) so stripes are out of the question. I have in the past used a very expensive roller mower (Honda HRH536QX pro) with a mulch plug inserted and this gave good results in very dry conditions when there was'nt much blade to take off. But the deck housing is not designed for mulching so in moist conditions the result was lines of balled up grass everywhere and looking under the deck i could see it was getting clogged up (sticking to the sides). So mulching has been considerably limited for me until i bought an Etesia bioclip ME53C. This is the best mulching mower i have ever used, and i have had several professional ones on demonstration over the past year. The lawn clippings "disappear" like i have never seen before and even when the grass is wet there is very little grass stuck to the underside of the deck. Cutting height is adjusted by screwing one handle and gives an infinite number of cutting height settings. There are three speeds to this mower meaning speed can be adjusted to the conditions whilst engine revs remain at full. If you are serious about mulch mowing and can afford one then you must check this mower out. And no, i don't work for the company. Collect clippings when mowing if weeds present? Rye or Ryegrass for Winter Green Mulch?